Pole Position: The Art of Grand Prix Racing is back for its third year. 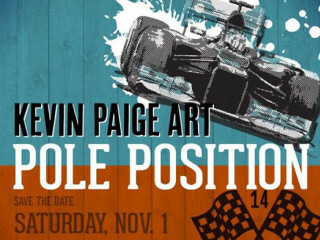 Artist Kevin Paige will be presenting new and old motorsports-themed paintings and drawings, and all art will be available for purchase. Enjoy a night drinks, art and music celebrating the return of the U.S. Grand Prix. Admission is free, but you must RSVP through Eventbrite to attend.